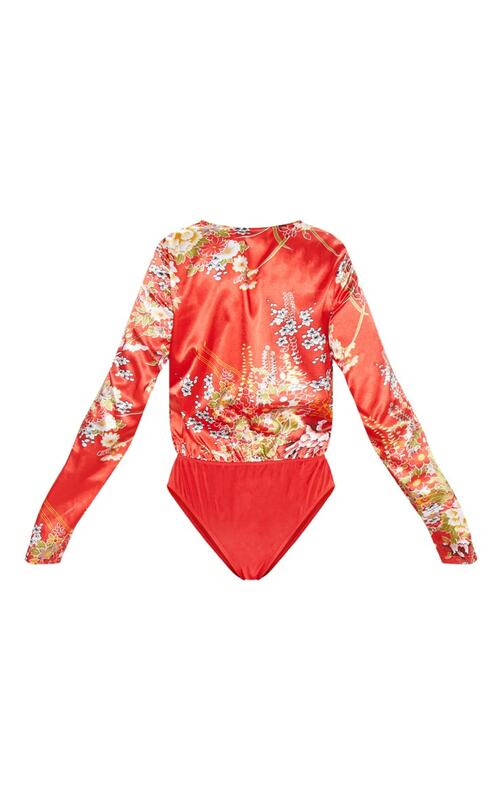 Give your look some oriental vibes with this bodysuit. 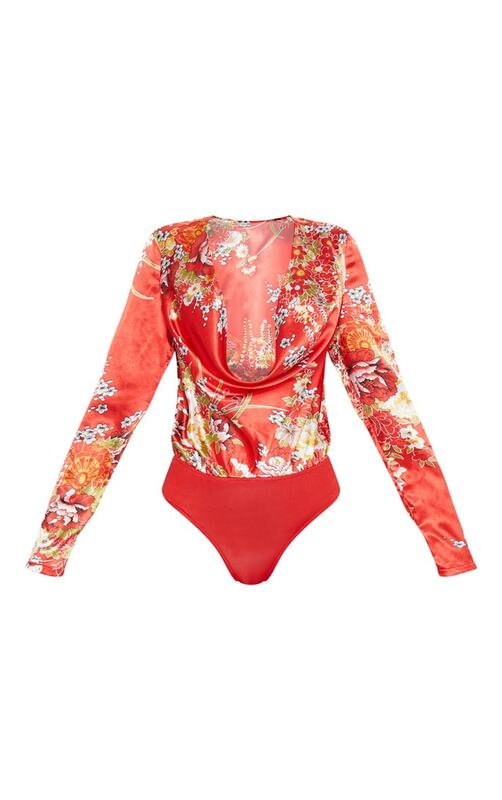 Featuring a red satin material with a contrasting oriental print, a cowl neck, long sleeves and popper fastenings. 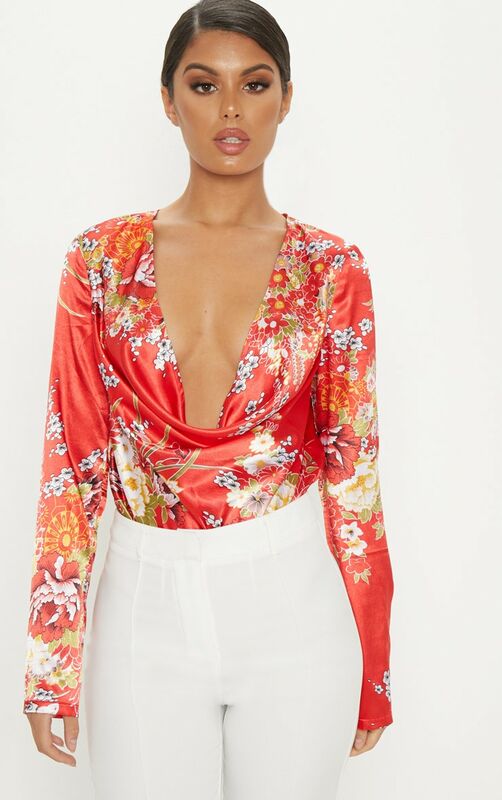 Team this with wide-leg bottoms and strappy heels for date night.